I'd heard a lot of good things about this 5k run but no one told me what to expect. As most things, I'd only really heard about the good stuff. The pie at the end of the race, how friendly all the volunteers are and what great value for money the run was. Which was all true. What people failed to tell me was just how much mud was involved and there was a lot. This was the muddiest run I've EVER done. The pie & pie 5k night trail is held by the lovely people at Muddy Roads and the race does sell out pretty fast. Costing £8 if you're affiliated or £10 for unattached runners. As I'd been told, the run does fill up pretty fast. There is around 200 or so places (that is an educated guess! ), if you like the sound of this race next year I suggest you keep a look out on Facebook for the entry date and get your name down quick. 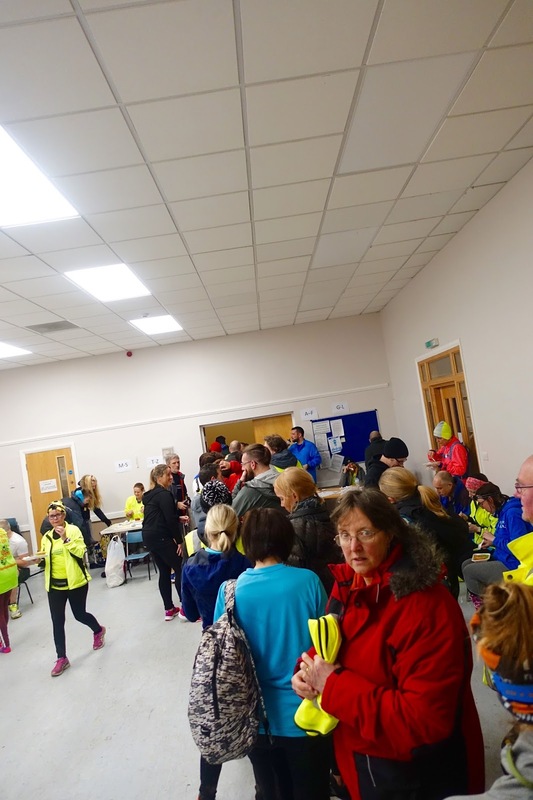 The collection of your barcode, which acts exactly like a parkrun barcode, gives you your finishing time and is your token for the pie & peas, from St Mary's Church Hall in Norton, there is plenty of free parking. 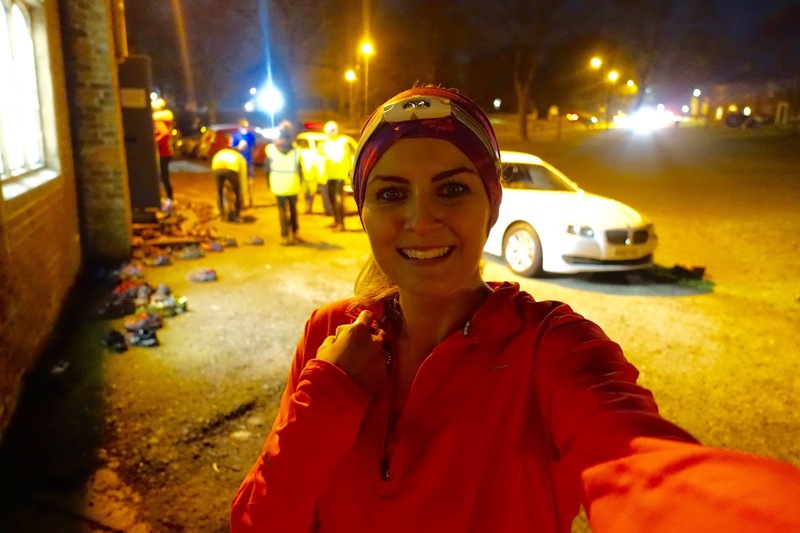 A head torch is mandatory as the route is mainly in the dark, I'm also really glad that I ran with my friend Rebecca as I'm petrified of the dark! So without getting all technically I'm going to explain the route. 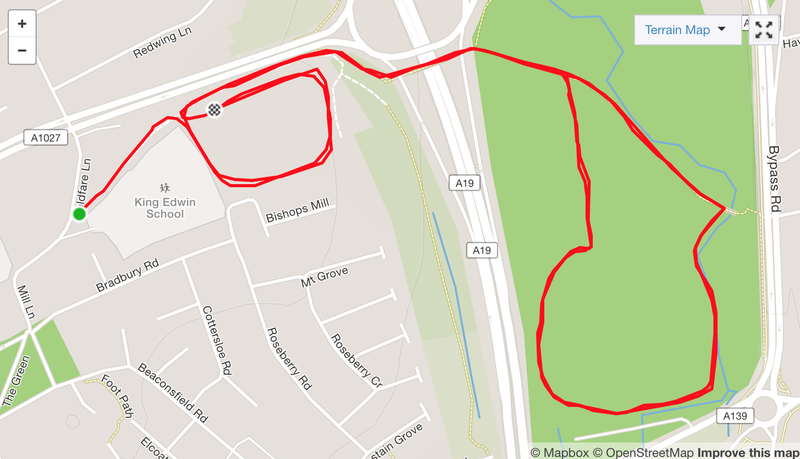 The green dot is the start line and you run to the first field, run around once then head over the A19 via a bridge and then run around the bigger field twice before making your way back to the first field to run around again and cross the finish line. Whilst we were on the first lap of the big field we got lapped by the faster runners and then we were the only runners we could see for the majority of the way. Which is why I was glad I ran with Rebecca as I really didn't want to be on my own. The bigger field was just mud. At one point the mud actually covered my foot and I had to use my hands to pull my leg out! Also a mouse shot out in front of us and scared the life out of me, luckily that was at the end of the race or I would of had to pull out. Goodness knows what else was in the big field, I don't want to think about it. As you can see below the course is pretty flat and the blue graph line is my speed, as the graph drops that is where the mud was. At the end of the race I genuinely thought I might have trench foot. 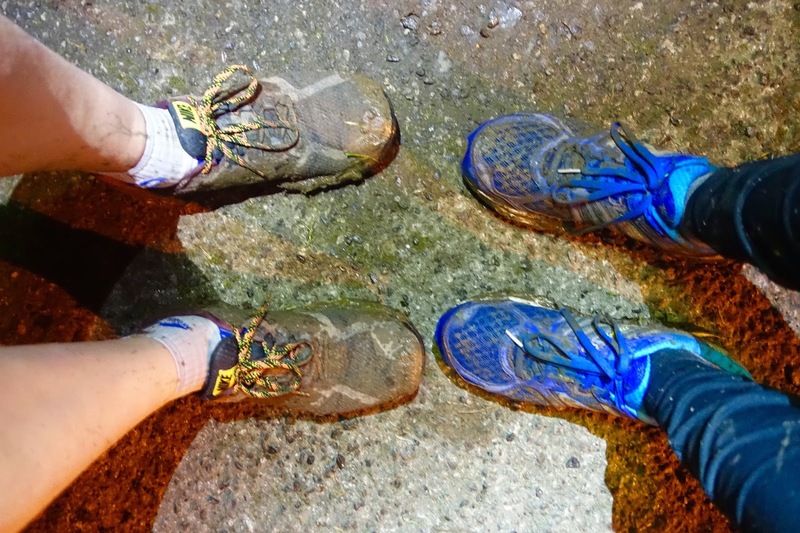 The mud had soaked through my trainers and socks and was caked to my feet. Luckily I had a spare pair of trainers in my car and my friend Bill gave me his spare pair of socks or I would have been driving home barefoot. Once I'd cleaned my feet best I could with my running jumper, I went and collected my pie. As I don't eat meat and there is no vegetarian option for pie, I brought my own tea with me. Not wanting to miss out on the pastry I bought a cheese and bean melt from Sainsbury's which the volunteers were more than happy to heat up. 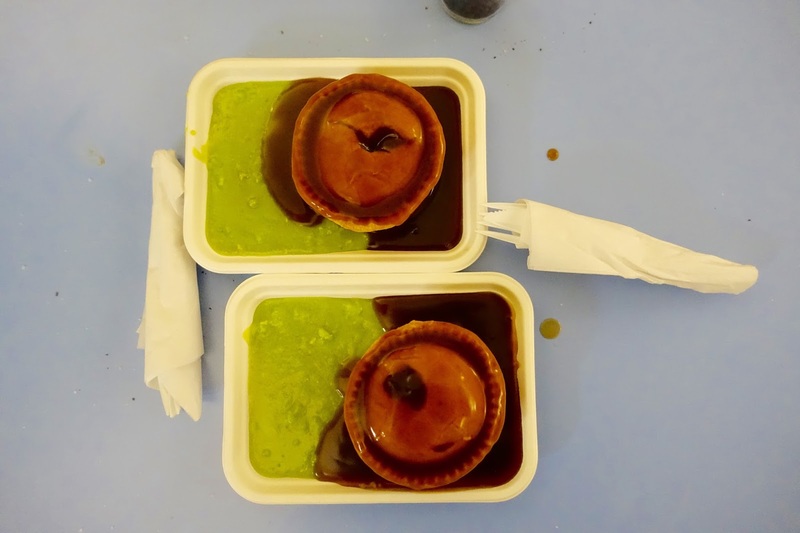 I gave my pie and pea supper to Rebecca. I know it sounds like I moaned a lot but I did actually really enjoy this run. One I'll mark down for next year. However I'll not leave my trail shoes at home and I won't forget a spare change of clothes! If this is something you like the sound of like Muddy Roads on Facebook where all the information will be shared. Follow me on my fitness instagram to keep up to date with all my fitness activities.